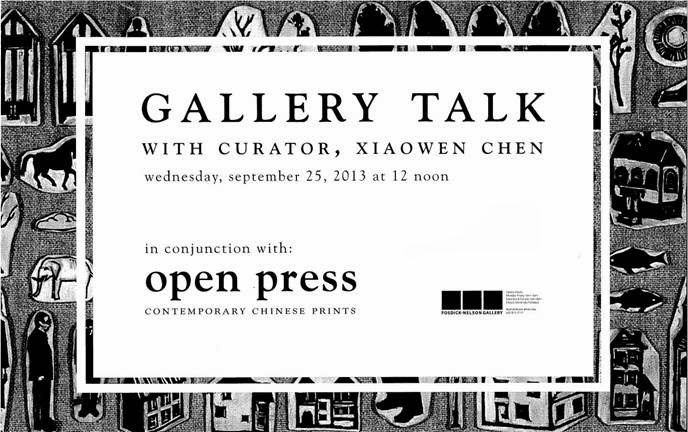 The Fosdick Nelson Gallery will be holding a gallery talk with Xiaowen Chen, curator of the current exhibition Open Press: Contemporary Chinese Prints. 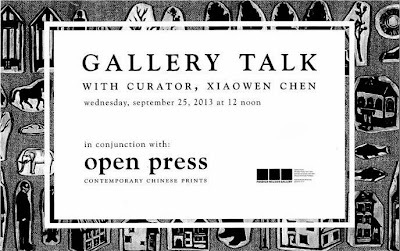 This exhibition features contemporary Chinese artists actively working in the field of printmaking. Participating artists include: Chen Haiyan, Chi Peng, Fan Min, Guo Jun, Huang Yian, Jiang Lu, Kang Jianfei, Li Yuzhi, Li Jun, Su Xinping, Xiang Jing, Xu Bing, Yang Hongwei, Yang Feng, Zhang Yifan.